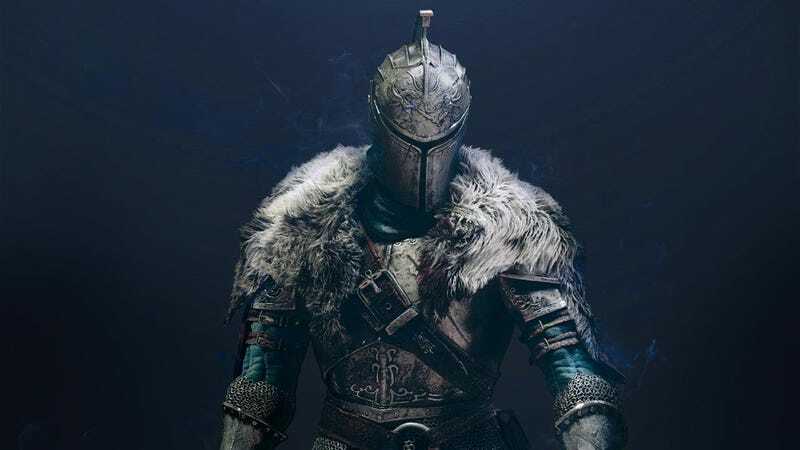 Softbans, which traps players in a separate world of cheaters, are on the rise in Dark Souls 2: Scholar of the First Sin. It’s not clear why, but players have a theory: a very useful mod. Several Kotaku readers, including many reddit users, have reported being softbanned from the game. This is a problem because it makes it extremely difficult to summon another player for help or engage in PvP, as the pool of people the game’s matching you with is much smaller. The typical reason someone is softbanned from Dark Souls 2 is because they’re cheating and playing online. This is a totally reasonable reason for From Software to push back, and in a sense, they’re being nice enough to let you keep playing the game online with others players. The running theory now, however, is that people are being softbanned for using a fan-made patch called DS2fix that addresses several glaring issues From Software has yet to address. Chiefly, it fixes the annoying durability bug that’s been part of Dark Souls 2 since it was released in early 2014, a glitch that From Software has only recently decided to address in a patch. It also prevents griefers from naming themselves a certain way and triggering crashes in other player’s games, and automatically removes corrupted items that could invalidate your save. In other words, it’s very useful, and what you expect from the passionate Souls community. But it also might be causing people to get softbanned from the game. -Hacking, modifying, or exploiting the game (game data, character, souls, Soul Memory, etc.) with external files/mods or trainers. The Dark Souls II server team (FROMSOFTWARE) has specifically stated that any players found in violation of the End User License Agreement (EULA – which a player is forced to agree to follow before being able to play the game in “online mode”) WILL NOT have these restrictions/limitations lifted from their account. However, players will still be able to play in “online” mode, but the restrictions will limit the online interactions with other players. The decisions for these restrictions/limitations on your account are ultimately handled by the Dark Souls II server team (FROMSOFTWARE) in Japan that is monitoring the servers and we would have no control or ability to change their decisions (we can only provide information regarding whether or not restrictions have been placed on an account). Other Kotaku readers relayed similar experiences, and I’ve seen the same story on reddit. Everyone claims they’re only using DS2fix, and no other mods. They’re not cheaters, they say. The modder who created DS2fix, Alessandro De Micheli, isn’t so sure he’s at fault. As I said, however, the people I’ve spoken to claim DS2fix is the only mod they’ve ever used. Enough people were experiencing an issue that even De Micheli was eventually given pause. I’m in the same boat, as From Software has not yet responded to my request for comment. Is this a change in policy? How come people have used the mod for weeks without issue? That said, Bandai Namco cautioned people from using any mods for the game, including DS2fix. “The safest way for people to avoid these soft bans is to not install mods like DS2Fix into Dark Souls II,” said a company representative. If I hear something back via From Software, I’ll let you know, but if it’s true the company is pushing back on modders who are trying to help, it could create a rift within the community. Remember, the PC version of Dark Souls was terrible. The reason it became acceptable was because fans came in and did something about it. Dark Souls 2 and Scholar of the First Sin were steps in the right direction, but the community still had pick up where the developer left off.